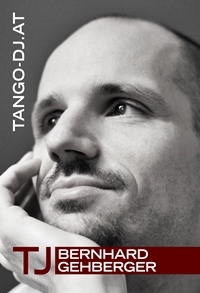 this is Bernhard from TANGO-DJ.AT, Association for preservation and provision of Argentine tango with the monthly newsletter TANGO-DJ.AT about DJ-ing, special Tango CDs, Tango dancing and much more. Please note that videos, sound samples and special characters might not display correctly in the e-mail. Please visit the online version instead. Enjoy! Three main topics will be covered by this month's newsletter. First one is our INTERNATIONAL MILONGA WEEKEND taking place in Vienna/Austria in about one month from 13 to 16 March 2014! 6 Milongas, 6 invited DJs, 4 days! Check out the extensive program and visit Vienna for a special Tango Milonga weekend. Second topic are the new releases by Akihito Baba for Club Tango Argentino and two saught after AMP albums we could restock. Last issue is our TANGO-DJ.AT MEBMERSHIP program and the presentation of the first two TANGO-DJ.AT Releases covering all Tangos, Milongas and Valses recorded by Orquesta Típica Victor from 1937 to 1944. Please enjoy this month's newsletter. We'd very much appreciate if you want to recommend it to your friends or your link to TANGO-DJ.AT. Just come & dance to one or all Milongas! 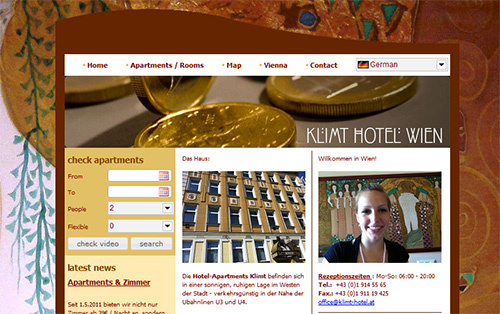 Accommodation - Special deal with Hotel Klimt! 15 March, Saturday night Milonga by TANGO-DJ.AT in cooperation with MILONGA "El Firulete"
If you confirm your participation for the Friday afternoon Milonga via the website tango-vienna.com you will get a drink for free! The location is offering 300m2 perfect wooden dance floor! TANGO-DJ.AT in cooperation with MILONGA "El Firulete"
Andrea & Nicolás will pause their regular Saturday night MILONGA "El Firulete" this Saturday in order to be with us! Breakfast for our Tangoguests will be served till 12:00h! Transfer is a 5 min, 3 stops ride opperated by tram 49 during daytime and nightbus N49 during nighttime! We will organize our own bar offering drinks on cost price. For a change we do not consider the Lomuto CD being the most interesting one of those releases. Having said that, featuring tracks like "Condena" and " El trece (13)" also the Lomuto CD is a fantastic must-have compilation. But amoung the 20 tracks on the Firpo CD you will find most likely 19 new ones! And most of them really nice and interesting recordings defenitely suitable for DJ-ing at the Milonga! It's been a while we came across a compilation featuring that many unknown and surprisingly good recordings. Our advice: Go for them! Prices are 35,- EUR per CD, or the special price of 99,- EUR for all three. Since the start of our membership program we are very happy to welcome soon our 50th TANGO-DJ.AT member! We want to thank all of you who have decided to support our work by subscribing as TANGO-DJ.AT member! Of course we are very happy to welcome you as new TANGO-DJ.AT MEMBER in case you are interested in supporting our work and getting access to an almost unique source of Tango music.